Everyone with a decent DSLR knows: If you’ve got a camera, you’re going to be the designated photographer this holiday season. This is especially true if there’s a newborn in the family, because no one wants to miss baby’s first holiday. But between the colorful decorations and the extra bodies in the house, a family gathering isn’t exactly the location for a newborn or family photography shoot. 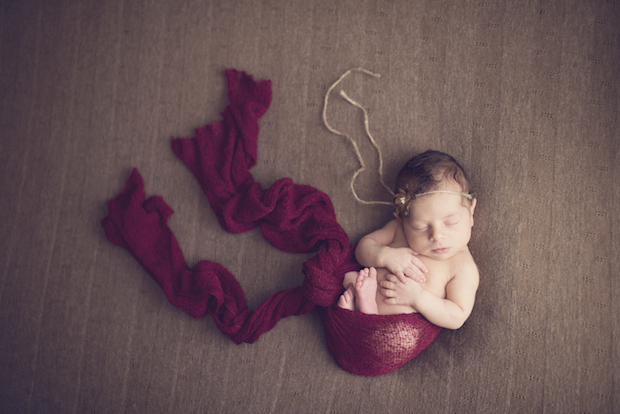 Still, with a few tips from a master baby photographer, it can be done. 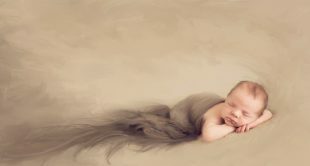 In her CreativeLive class, The Creative Newborn Photography Studio, newborn and family photographer Julia Kelleher explained how to set up and shoot a creative, beautiful portraits of newborns and their parents which include emotion and elegance, while still adhering to the best practices of newborn and family photography. 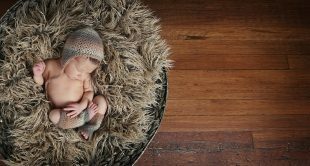 Even if you’re not a professional photographer — or if you are, but you’re struggling to capture the whole gang plus baby — consider these newborn photography basics, which also serve as great holiday photography tips. Design your image first. If you’re going to ask a family to pose, make sure you’ve got the image designed and ready to go, including clearing a space and setting the right lighting. Grandma’s loudly-patterned couch? Maybe not the best place to capture baby. That soft, neutrally comforter in the bedroom? Now that’s a good place to take a photo of the cousins holding the baby. And, if you have the chance to advise the family before they show up? Encourage them to wear harmonious colors. Light right. The way you light your shot comes down to your style as a photographer and to the desires of the family, but generally, says Julia, if you’re shooting a family with a very little one, you’re going to aim to keep it soft. “Harsh, high-contrast ratio lighting is not going to evoke feelings of softness,” says Julia. If you’re bringing your own lighting set-up, pack your softbox and a diffuser. If you’re using the lighting that’s on-hand, see if you can shoot either outside in the shade, or against a nice, neutrally-colored (read: Not stark white or black) wall. Try for continuous light, rather than a strobe or a flash. Another big bonus of avoiding bright, high-contrast light: “Soft lights make for a calm environment,” which, during the stressful holiday season, can be a huge benefit, especially if there’s a newborn in the family. Include the whole family. Julia points out that, in newborn photography, “images with parents are 80% more likely to sell than photos of baby alone.” Why? Because people want to remember not just their kids, but also how they looked as a family. Regardless of how old the kids are or how much space you have, if you’re taking photographs of a family, ensure that at least some of them have the parents — and maybe even the grandparents — present. And if you’re part of the family? Set that timer and jump in, too! It’s not just about how much the little ones have grown, but the emotions of the time you were all together. 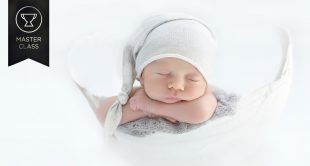 For more insight into the art and business of newborn and family photography, join Julia for her class, Family Photography: Capturing Connection.